In a contemplative article, William C. Wohlforth wondered what contemporary political science would’ve looked like if instead of Waltz’ neorealism, Gilpin’s formulation had become the central organizing theory of the discipline. Gilpin’s framework – laid out in War & Change in World Politics – is considerably more nuanced than the monocausal, static, systemic formulation of great power politics in neorealism. Often conflated with Organski’s theory of power transition, it is referred to as hegemonic stability theory. Gilpin focuses on how the international order emerges from hegemonic wars, is forged and upheld by dominant states, and how it comes under pressure from rising powers. According to Gilpin, a hegemonic war is characterized by three features. First, it is a system-wide conflict: every great power and most minor powers participate in the war. Second, it’s a total war: what is at stake is the nature and governance of the international order. It is at once political, economic, and ideological; is characterized by the employment of unlimited means, and usually accompanied by religious, political, and social upheaval. That is, it is simultaneously a systemic crisis. Third, the geographic scope expands till it engulfs the entire system: it is a world war. 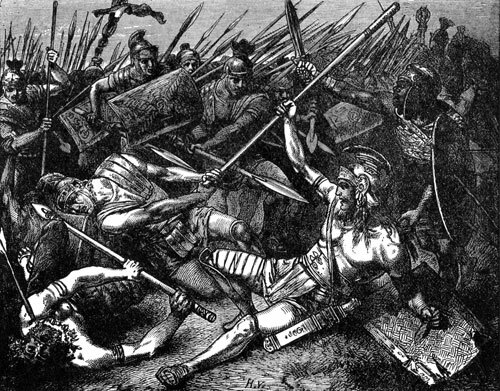 Historically, the wars that meet these three criteria are: the Peloponnesian war between Athens and Sparta (431-404 B.C. 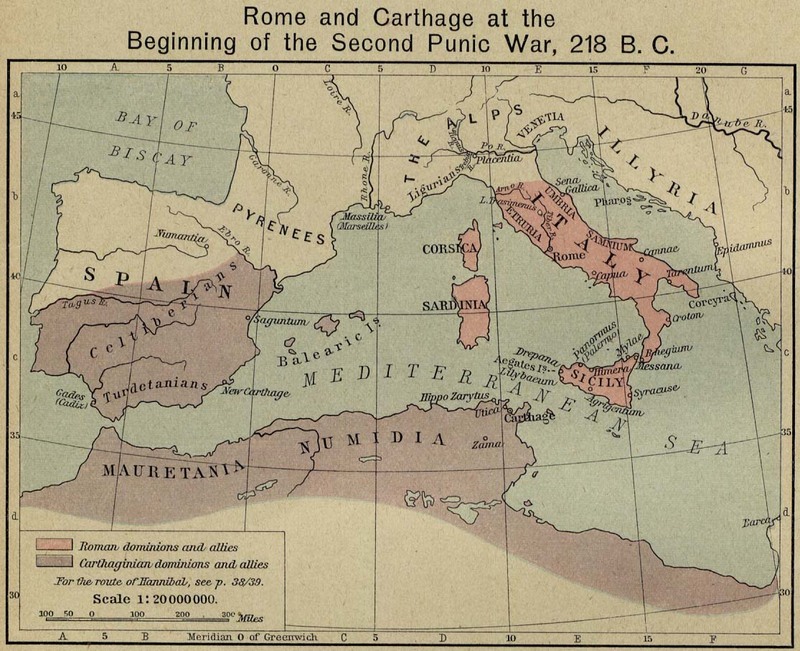 ), the Second Punic war between Carthage and Rome (218-201 B.C. ), the Thirty Years War (1618-48), the wars of Louis XIV (1667-1713), the wars of the French revolution and Napoleon (1792-1814), the First World War (1914-19), and the Second World War (1939-45). A number of preconditions are associated with the outbreak of hegemonic war. There is a “closing in” of the system whereby interstate relations become more and more a zero-sum game. The clashes among great powers over territory, resources, and markets increase in frequency and magnitude. In contrast, the hundred years of peace of the long nineteenth century was based on “continuously expanding territories and markets”. Another precondition is a significant erosion in the relative power of the reigning hegemon. The dominant state sees that time is working against it and feels that one should settle matters through preemptive war while the advantage is still on one’s side. Although prestige is largely a function of economic and military capabilities, it is achieved primarily through the successful use of power, and especially through victory in war. The most prestigious members of the international system are those states that have most recently used military force or economic power successfully and have thereby imposed their will on others. Second, both power and prestige are ultimately imponderable and incalculable; they cannot be known absolutely by any a priori process of calculation. They are known only when they are tested, especially on the field of battle. Third, one of the principal functions of war, particularly what we shall call hegemonic war, is to determine the international hierarchy of prestige and thereby determine which states will in effect govern the international system. [A]n inconsistency may, and in time does, arise between the established hierarchy of prestige and the existing distribution of power among states. That is, perceptions of prestige lag behind changes in the actual capabilities of states. As a consequence, the governance of the system begins to break down as perceptions catch up with the realities of power. The once dominant state is decreasingly able to impose its will on others and/or protect its interests. The rising state or states in the system increasingly demand changes in the system that will reflect their newly gained power and their unmet interests. Finally, the stalemate and issue of who will run the system are resolved through armed conflict. Unable to tackle the nuance of Gilpin’s framework, Copeland erects a straw man: “hegemonic stability theory has no deductively consistent theory of war initiation. There is no logical reason why a state should attack while it is still rising, since simply by waiting, the state will be able to achieve its objectives more easily and at less cost.” His account of the origins of the First World War thus casts Germany as the dominant state in decline. This does explain why Germany engineered the war when it did: Russia had much greater war potential due to its large population and territory. It was rapidly industrializing and had just started an arms buildup that would’ve enabled it to surpass Germany as the dominant military power on the continent by 1917. However, Germany was in no way the dominant power in the international order. The reigning hegemon was Great Britain. Both authors agree on Britain’s response to relative decline. As Germany surpassed Great Britain in industrial strength, it launched on a naval buildup to challenge the Royal Navy for command of the seas. The Kaiser inaugurated a strategy of coercive diplomacy to extract concessions from the imperial powers. This strategy of calculated risk and brinksmanship called Weltpolitik alarmed Great Britain. She immediately started resolving her conflicts with other great powers and forging alliances: agreed to Japanese supremacy in northeast Asia, American dominance of the western hemisphere, gave over the western Mediterranean to France, and made diplomatic overtures to Russia. The reason why Great Britain did not consider preventive war with Germany is clear. What counts in the balance of power is land-based military power. 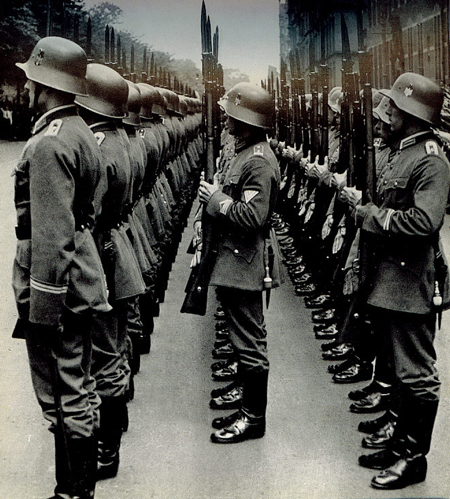 Germany had been a stronger military power than Great Britain since 1870. Even if she had been able to forge an alliance with France and Russia to attack Germany, they would’ve found it difficult to bring it down. The strategy of containment and encirclement that Britain pursued was thus optimal. Great Britain continued to preside over the international order. The issue is a subtle one: a dominant military power in irreversible relative decline faced with a geopolitical rival with greater war potential will consider preventive war to be necessary if no other option is available to ensure its long-term survival. In a multi-polar system, their course of action would immediately make it a potential hegemon. The balance of power dynamic will kick in, all the other great powers would coalesce to check it, and it would have to make a run for the entire system. It would thus only launch a preventive war if it was at least as strong as its geopolitical rivals put together. This was precisely Germany’s position before both the world wars. Since such a situation is harder to obtain in multi-polarity than bipolarity, the former is more stable than the latter. In the bipolar system on the other hand, even if the declining power is somewhat weaker than the rising power it would still make sense for it to launch a preventive war to shore up its waning long-term security. Thus, bipolar systems are inherently less stable. Here, the logic of Copeland’s theory of dynamic differentials is impeccable and superior to neorealism. Since neorealism is a static theory, it misses the central role that the law of uneven growth plays in precipitating war. Neorealism therefore sees bipolarity to be inherently more stable than multi-polarity. The reigning hegemon has, with the exception of the United States, not been the dominant military power in the system. However, it has, by necessity, been the dominant naval power. Since the sixteenth century, when the European world economy spread its tentacles around the globe, the principal determinant of the financial and economic fortunes of the great powers have been their positions in the global trading system. Since every great power benefits in absolute terms from the global trading system, it endows the sea power that protects the sea-lanes with an enormous degree of power and prestige. They have, as a rule, promoted free trade, provided the investment capital, run the financial system, and supplied the international currency. The key to controlling this maritime realm is sea power, which is quite distinct from land-based military power. Indeed, when we speak of war potential and dominant states, we are implicitly talking about the latter. The former is determined by factors that are quite distinct. Naval supremacy depends in the first instance on having a skilled merchant navy and ship building industry. It also depends quite critically on securing control over strategic control points, what Admiral Lord Fisher called “the five keys that lock up the world”: Gibraltar, Dovar, the Strait of Malacca, the Cape of Good Hope, and Alexandria. To update this list we may add the Panama and Suez canals and the Strait of Hormuz. The sea power that controls these is more often than not the reigning hegemon of the world economy. Since the trade between East Asia and Europe has been such a crucial piece of the global trading jigsaw, naval control of the Strait of Malacca serves as the truest bellwether of established hegemonies: Iberian (Portuguese) (1511-1640), Dutch (1640-1780), British (1780-1945), and American (1945-). All hegemonic wars in history were initiated by dominant military powers who were not only facing relative decline (as Copeland demonstrates admirably) but also fighting against the secular trend of the world economy. Sparta was threatened by the maritime trading empire of Athens. Carthage, the hitherto dominant sea power feared Rome’s growing strength at sea: the Punic wars were precipitated by Rome’s conquest of strategically significant islands in the Mediterranean, which posed a direct threat to Carthage’s naval supremacy and trade primacy. Spain tried in vain to prevent Holland’s rise to primacy in global trade and finance. The wars of Louis XIV were as much about wrestling Dutch trade as establishing France as the dominant power in Europe. The Napoleonic wars were intended to reverse Britain’s rise as the dominant trading and maritime power. Napoleon was, however, a few decades late to the party. Germany tried twice in a generation to secure the mantle of the world economy and the international order even as it was silently crossing the Atlantic. The lessons to be gleaned from this exercise are manifold. The balance of power and the maritime world economy are distinct. The principal determinant of a great power’s position in the former is land-based military power, while in the latter it is sea power and economic prowess. War potential is determined by territory, population, advantageous geopolitical location, and resource endowment (Iron, coal, oil et cetera). Successful maritime powers need to be economic powerhouses, have a highly skilled and productive populace, and substantial naval potential (ample coastline, shipbuilding, a sea-faring tradition et cetera). Perhaps most importantly, they need to be incubators of capitalism. Coming back to the German tragedy, there was virtually no possibility of German hegemony of the sort enjoyed by the Americans. Even if the Schlieffen plan had been implement in 1905 and Germany had become preponderant in Europe, it would’ve only enjoyed a slight advantage over the American colossus. The geopolitical advantages of the United States – primarily the security provided by the Atlantic and the Pacific oceans – meant that it was a foregone conclusion that the US would’ve emerged as a pole of the international system. The emergent world order in this hypothetical scenario would’ve been tripolar with the US, Germany and Japan preponderant in their respective spheres. This has, in fact, been the shape of the international economic system for the past half century. As indeed, it would’ve been for the past hundred years if we had been spared the devastations of the early twentieth century. These are topological invariants of the world economy. The polarity of the international security system is given by the distribution of military power. The polarity of the world economy is a feature that is at once deeper and longer lasting than the military standing of states. Even though the modern state has enormous power, it is almost helpless in the face of the world economy. Witness the failure of the strongest state in human history to bring the unemployment rate down half a percentage point. Do nuclear weapons make hegemonic wars anachronistic? With the development of missile defense shields and reliable intelligence gathering capabilities, it might be possible for a great power to achieve nuclear superiority. Indeed, it has been argued that the United States has already acquired nuclear primacy. But this is not exactly a return to the nuclear monopoly of 1945-49. Since a small probability that a usable warhead might survive cannot be eliminated even with a substantial surprise first strike, nuclear weapons continue to protect weaker powers against nuclear blackmail by the dominant superpower. Indeed, Kenneth Waltz has argued that a nuclear Iran would stabilize the regional order in the Middle East by eliminating the threat of US-Israeli conquest of the beleaguered Islamic republic. The world economy is centered. New York serves as the “organizing center” of global capitalism. If one looks at the network of global corporate control, in particular, the strongly connected component or core of the system, one finds the stark fact that the top 1,318 companies control 80 per cent of global revenues of 43,060 transnational corporations. 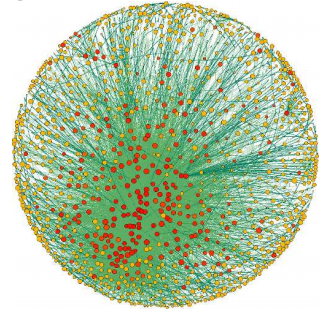 Atop this tightly-knit control structure are 147 firms that control 40 per cent of the world’s corporate revenue. This is “ten times bigger than what could be expected based on their wealth”. Note also that wealth is already much more skewed than income. An analysis of the control shares of the top fifty firms provided by the authors reveals that the share of US firms in this supercore is an astounding 54.5 per cent, that of other western firms is 40.6 per cent, and that of Japanese firms is 4.1 per cent. The state owned Chinese oil company controls 0.8 per cent. The reins of the world economy are held pretty tightly. The world economy is tripolar. Leadership in an open global economy depends on a country’s market share of the most profitable sectors. These are overwhelming high-end services (financial services and consulting), and especially high-tech manufacturing. The growth in manufacturing productivity is the principal determinant of the health of an advanced industrial economy. The countries with the highest productivity in high-tech manufacturing invariably capture the largest share of the pie. It is here that we find three highly competitive zones in the world economy: United States, a German dominated northern European core, and the northeast-Asian core centered at Japan that includes Taiwan, South Korea, and Hong Kong. These are the only major centers of independent technological development and innovation. The rapidly growing countries outside this core are invariably importing advanced technologies from abroad. This includes China. China surpassed the United States in manufacturing output in 2011. China’s manufacturing sector employs more than a hundred million people compared to ten million in the US. This does not mean that American workers are ten times as productive as Chinese workers. China’s manufacturing is labor intensive and characterized by low value-added per worker. On the other hand, US manufacturing is high-tech and capital intensive. They just make different things. This tells us more about the hierarchical structure of the global supply chains than relative productivity. What all the above implies is that we are very far indeed from the next hegemonic war. However, the pace of change in the world economy is rapid. Chinese strategists reckon that they will be able to close the technological gap with the United States by mid-century. These projections are picked out of thin air of course. No one really knows how this plays out. China has very many hurdles to cross before it becomes a serious rival for the leadership of the world economy. What we can say is that China has tremendous war potential. If China continues to grow rapidly and modernizes its military, China would be able to balance the US perhaps as early as 2025. The world would then become bipolar. A necessary condition of this first step towards superpower status would be for China to secure its energy supply by becoming militarily preponderant in Central Asia. If it continues to industrialize and grow for another decade or two it would emerge as a serious “peer competitor” to America. The United States will try in vain to shore up its power position, perhaps launching a cold war when it finds itself in relative decline. Initial moves towards such a scenario have already begun with the Obama administration’s initiative to “rebalance towards east Asia”. I think Copeland is right: it will be America that initiates a hawkish containment policy as soon as US policymakers are certain about relative decline. Once serious decline sets in the US, the governance of the international system will become weak and ineffective. There will most certainly be a struggle for hegemony. Hopefully, it will be a series of localized wars and no nuclear weapons will be used. Once the Strait of Malacca comes under Chinese protection, everyone will know who the top dog is. Gilpin, Robert. War and Change in World Politics. Cambridge: Cambridge UP, 1981. Print. Carr, E. H. The Twenty Years’ Crisis: 1919-1939. London: MacMillan, 1942. Print. Copeland, Dale C. The Origins of Major War. Ithaca: Cornell UP, 2000. Print. Kissinger, Henry. A World Restored; Metternich, Castlereagh and the Problems of Peace, 1812-22. Boston: Houghton Mifflin, 1957. Print. Lieber, Keir A., and Daryl G. Press. “The Rise of U.S. Nuclear Primacy.” Foreign Affairs. March 1, 2006. Waltz, Kenneth N. “Why Iran Should Get the Bomb.” Foreign Affairs. June 15, 2012. Wohlforth, William C. “The Stability of a Unipolar World.” International Security 24.1 (1999): 5-41. Print. one of these days I was surfing the net looking for people that, just like me, got interested in Braudel’s ideas and that used him as an inspiration to try to understand the current world and I got to Policy Tensor. It was amazing to find a geometer in Montreal sharing this passion. Since this recent discovery, Policy Tensor became a mandatory read for me and I must praise you for such an incredible work! Congratulations and keep posting! Let me briefly present myself. My name is Marco and I live in Rio de Janeiro, where I just defended my master thesis in which I use Braudel “framework” enhanced with some other ideas to try to better understand patterns of wealth polarization in history. Unfortunately, it is still only in portuguese but I’ve just got invited to a congress in California so that I translated part of it and turned into an article, which I share with you. In the article, I take advantage of the investigative window of opportunity provided by the 2007/2008 crisis: since it prompted a number of studies and investigations, which revealed the inner workings of the financial sector, I use much of this data to compare the recent trends with the patterns Braudel observed long ago. Despite my best efforts, the article is still written in that weird language of “academicism”. A much better story about the exact same facts could be written to the general public. I’m currently working on that. I would love to discuss this and some other ideas with you. As you will see, I consider that a better understanding of the relation between the power struggle among states and the creation of “counter-markets” is critical if we really want to grasp the forces that set our world into motion. For sure we can engage in a more profound conversation later, but for now I just wanted to say hi and salute you for the amazing work here in Policy Tensor! Thank you very much for your appreciation. I have invested a lot of time and effort into this and have never really found any one who shared my passion. I am very delighted to find another soul who cares as much! You said you shared the article? I think you forgot to post the link? If you haven’t uploaded it yet, you can put it on dropbox and share the link. I look forward to reading it. Using Braudel’s framework to analyze today’s wealth polarization is very promising. You said you want to write an essay for general consumption. Would you like to write a guest post on the policy tensor? Get in touch on Facebook (https://www.facebook.com/policytensor). I am sure we have plenty to talk about! What’s up i am kavin, its my first occasion to commenting anywhere, when i read this article i thought i could also make comment due to this good article. Reblogged this on National security foundation . Just one comment. You know that history is written by the winners of any war. So I don’t think if Germany have had the chance to write the history of the two World Wars would described it as you said above. In fact I believe Western Europeans, especially the declining powers such as UK and France, feared the rise of Germany, an economic power house, in Central Europe. and the result of this fear and the two successive world war are now history.